As you probably know, large corporate franchises are some of the most prestigious and influential factions in the world today. As our economy continues to become more and more globalized, across the country many local grocery, convenience stores, and restaurants, have been faced with the difficult task of competing head to head with these corporate juggernauts. Often they come up short. While global corporations continue to dominate the distribution of goods and commodities, in provision of health care, determining a clear-cut winner is much more difficult. Such is the case with a local dentist or privately owned dental practices as opposed to corporate dental centers. In recent years, corporate dental clinics have become increasingly available in big cities and metropolitan areas around the country. While this is not necessarily unexpected, it does beg the question as to what the differences are between a corporate clinic and a private practice owned by a local dentist. An additional question can be: Which one should I choose? Indeed, there are quite a few differences between these two avenues, and some of which could be a major factor in deciding which one is right for you and your family. Therefore, it is important to consider some of the following positive and negative aspects when making your selection. As mentioned previously, the appearance of low cost, corporately-owned dental centers have become more and more widespread in recent years, and although they differ from the traditional private practice with a local dentist, they certainly have their own strong points. Perhaps one of the most enticing aspects of corporate clinics is the prominently featured, economically friendly price range. Although sometimes the price range varies, it is certainly a major selling point. Another strong point of corporate dental centers is that they often have several dental practitioners on staff at once, thus being well equipped in the advent of an emergency. Although dental centers are created with good intent, and typically do provide excellent service, like any cooperation, their operation process sometimes resembles that of an assembly line. In other words, dental clinics are designed to give you just the assistance you need, then simply move on to the next patient. Although time efficient, this leaves little time to address any personal concerns or future issues, essentially reducing you to little more than a faceless number on a spreadsheet. This cold impersonal approach can sometimes be a bit off putting, particularly with small children, or those who may experience anxiety during dental appointments. In addition to this atmosphere, dental centers often alternate between multiple practitioners, therefore making it very difficult to anticipate your experience during your next appointment. In direct contrast to the almost machine-like corporate clinics, a private dental practice owned by a local dentist is generally based on trust and one’s personal relationship with their dentist, thereby creating a very different environment than previously described. As alluded to in the previous sections, one of the highly favorable aspects of a privately-operated dental practice, is the high level of personalized care available to patients and their families. In a well-run private practice, you will be treated by a local dentist and staff who know you personally. They will understand your specific needs and concerns, and are prepared to make sure that you receive the dental care that is best for you as an individual. This is opposed to treating you as just another patient. In addition to personalized treatment, private practices generally exude a much warmer, friendlier atmosphere in which patients are treated out of care and concern, thus easing any fear or anxiety that a patient may have during their experience. Perhaps the only real downside to private dental practices, is that they can be more expensive than the low cost dental centers, and that they may not be compatible with some insurance plans. However, keep in mind that cost will always vary depending on the treatment required, and that many private practices do in fact have multiple financing options. Although there is much to consider when comparing between a local dentist with a privately owned practice and corporately owned dental clinics, keep in mind that there is no wrong answer. After all, the decision ultimately comes down to you, and what you feel is best in ensuring that you and your family receive the quality dental care necessary. At Overland Park Dentistry, remember regardless of your choice, you and your family are always our first priority! Local dentist, Dr. Charles R. Kimes, DDS, and his expert team at Overland Park Dentistry look forward to having the opportunity to care for you and your family with any preventative, restorative or cosmetic needs you or your family may have. 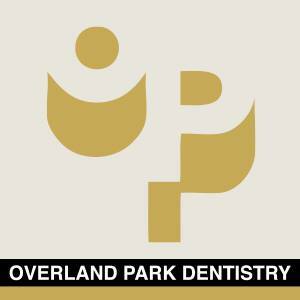 To schedule your dental appointment with your Overland Park Dentist, contact us at our south Overland Park office at (913) 647-8700 or our north Overland Park office at (913) 341-2380.